How do you know if you are truly saved? 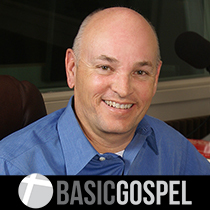 Bob Christopher defines the Gospel that saves! This was a question on our radio broadcast. The listener who asked it was sincere. She really wanted to be saved. She had some information, but not the complete story. Paul laid it out for us in his letter to the Corinthians. For what I received I passed on to you as of first importance: that Christ died for our sins according to the Scriptures, that he was buried, that he was raised on the third day according to the Scriptures, and that he appeared to Peter, and then to the Twelve. After that, he appeared to more than five hundred of the brothers at the same time, most of whom are still living, though some have fallen asleep. Then he appeared to James, then to all the apostles, and last of all he appeared to me also, as to one abnormally born (1 Corinthians 15:3-8). The Gospel that saves is the death, burial and resurrection of Jesus Christ. Jesus died to take away our sins and to usher in the New Covenant. He was raised that we might have life. The Gospel is a message of life. This is why the resurrection of Jesus Christ is the very substance of the Christian faith. Without the resurrection, Christianity would be just another religion or empty philosophy. Listen to what the apostle Paul wrote concerning the resurrection’s significance: “And if Christ has not been raised, our preaching is useless and so is your faith” (1 Corinthians 15:14). The validity of the Christian message and our assurance of eternal life hinges on this single event. Jesus said it best, “Because I live, you also will live” (John 14:19). Jesus was raised from the dead so that we too could be raised. Salvation is being made alive together with Jesus. Without the resurrection, there is no eternal life. The sad reality is that far too many Christians live as if salvation is nothing more than forgiveness of sins. “Christ died to forgive my sins”, they say. And that’s it. To know that our sins have been forgiven once and for all certainly is incredible news. 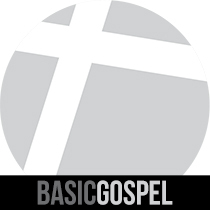 But the heart and soul of the Gospel message is life. As Paul so clearly stated, we were dead spiritually. We needed life. Until we know that we have been made alive, that the resurrected Christ lives in us, our Christian experience will be a struggle, one filled with frustration and failure. And that assurance we long for will be fleeting. If you have come to God through Jesus, you are saved. You have crossed over from death to life. The transaction is complete, permanent, and unchangeable. Jesus guaranteed His work on your behalf with this promise: “Never will I leave you; never will I forsake you” (Hebrews 13:5).